If this old truck could talk! I have taken pictures of this one before, and it is always showing me a new story. I really enjoy my trips to Virginia City to visit it and the ambiance of such a historical town. This photo was taken the last Saturday in November, when it was unseasonably warm and sunny. My previous pictures of it are all in color, so this time it is in black and white. This one should make a really nice print. 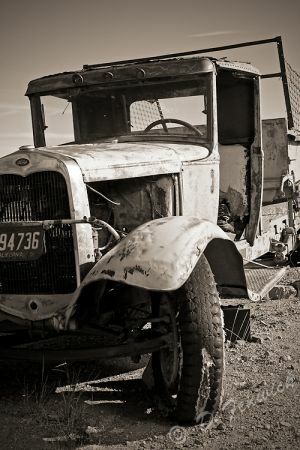 This entry was posted in Photos and tagged Nevada, NV, old, rusty, truck, Virginia City.